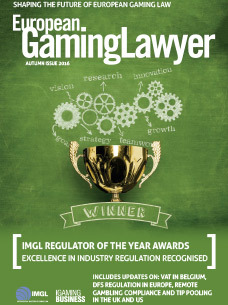 European Gaming Lawyer is published each Spring and Autumn for the IMGL by iGaming Business, who specialize in publishing and providing high level information to the iGaming sector through magazines, events, websites and intelligent reports. It is read by 25,000 print subscribers and digital users. 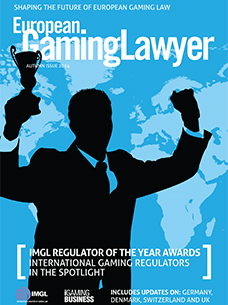 European Gaming Lawyer has trade show distribution at ICE (London); GiGSE, IMGL Spring & Autumn Conferences; G2E Asia, iGaming Supershow, G2E, EiG, EEGS and other industry events. 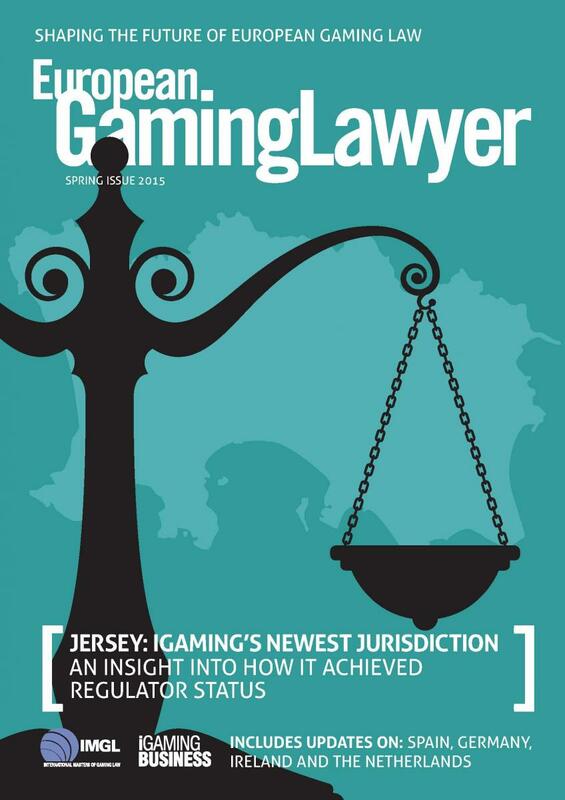 The magazine features articles written with in-depth insight into the legal situation in the varied gaming jurisdictions in Europe. 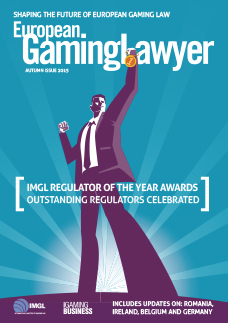 Mailed to all IMGL members, subscribers of iGaming Business magazine and by request. Submit articles (that have not previously been published) to Editor Nick Nocton at [email protected]. Articles must be submitted by Monday, February 12 for the Spring 2018 issue. Gazing into the Crystal Ball: 2018 Regulatory Outlook for Germany By Dr. Joerg Hofmann, Dr. Matthias Spitz and Jessica Maier, LL.M. Implementing the 4th AML Directive: New Challenges ahead for the German Market By Dr. Joerg Hofmann, Dr. Matthias Spitz and Jessica Maier, LL.M. 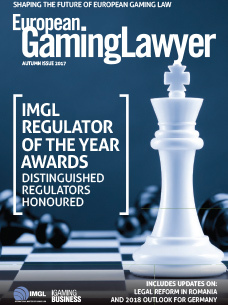 European Gaming Lawyer is published each Spring and Autumn for the IMGL by iGaming Business, who specialize in publishing and providing high level information to the iGaming sector through magazines, events, websites and intelligent reports. It is read by 25,000 print subscribers and digital users. 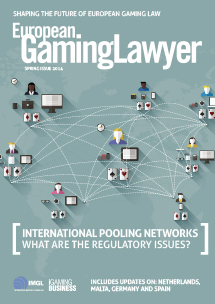 European Gaming Lawyer has trade show distribution at ICE (London); GiGSE, IMGL Spring & Autumn Conferences; G2E Asia, iGaming Supershow, G2E, EiG, EEGS and other industry events. 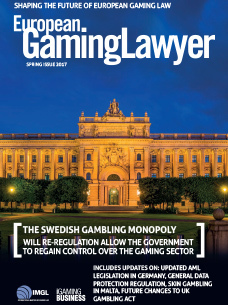 The magazine features articles written with in depth insight into the legal situation in the varied gaming jurisdictions in Europe. 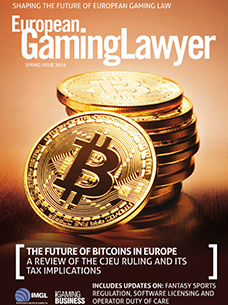 The Future of Bitcoins in European iGaming Depends on Taxation By Matthias Spitz, Dr. Gregor Fuehrich and Jessica Maier, LL.M. Submit articles (that have not previously been published) to Editor Nick Nocton at [email protected]. 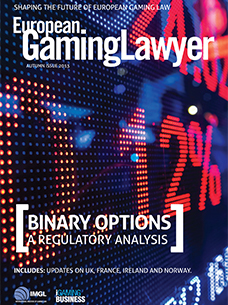 ​Binary Options: The Licensing Debate - R. Paul Davis, LL.D.